What would we do without Jessica? I mean, she’s JESSICA! Not sure if I’m making any sense here, but you get what I’m saying, right? From the very first song, “Into The New World” until now, “I Got A Boy”, she never failed to mesmerize us with her amazing voice. She hits high notes like how an archer hits a bulls-eye. Some people find her voice too high pitched, too sharp and etc. but I personally feel that’s what makes her so special. Aside from her voice, which we all know is so cool like a cucumber (no pun intended), let me just share, on this very special day, what I love about this girl. People talked a lot about the ‘Sica effect’, you know, where she just put on this really blur, emotionless face, supposedly ruining the atmosphere when it’s actually lively and all. I feel that it’s kinda hilarious when she does it, and KNOWING that she’s doing it. What can she NOT do man! She’s so diverse, so versatile, so flexible, so talented. It’s like a whole complete package. Our dear Jessica here, will forever be a blessing to all of us. She sings like a boss, walks and talks like a boss, and behaves like a boss. Jessica Jung, you’re such a funny girl, aren’t you? I’m sorry that this post had to be so short, but you know, and I know, and we all know how much we love Jessica. Let’s just give her a BIIIIGGG Happy Birthday and a virtual HUG and wish her all the best in her life and future endeavors. This saying might get a bit old, but I’ll still say it. Without you, or any other of the 8, there wouldn’t be SNSD. 시카씨. 우리 소원들이 너무 너무 사랑합니다! 생일축하합니다! ㅋ ㅋ ㅋ 죄송합니다, my Korean is still…bad. Yaaayyy,, happy birthday Ice princess.. She become a mature woman right now, keke 😀 .. Simple note, cute note .. Thanks to wrote that 🙂 . But!! Wish She All The Best.. Her members and SONE can’t be (one) like this without her..
Just, thank you 🙂 ..
Lovely Birthday post, Rix ! Yes, here’s wishing our Favourite “Ice Princess” a Very Blessed and Wonderful 25th Birthday :lol:. May all her deepest wishes come true today. Heaven’s loss is this world’s gain when Jung Soo-yeon came into this world. Because I have seen her and have heard her, I know there is a heaven. Thank you for your beautifulness all around Sica. I love you. whoa, today is so special day for me..
hope you can take a day of to celebrate your birthday..
hehehe,, take care your health, but not too much sleep..
keep be yourself, because we love you yesterday, now, tomorrow, and forever..
saranghae noona, majimag saengil chukhahamnida.. Happy birthday Sica!!! But I’m still mad that there was no Taeyeon post. Taengsic FTW?! 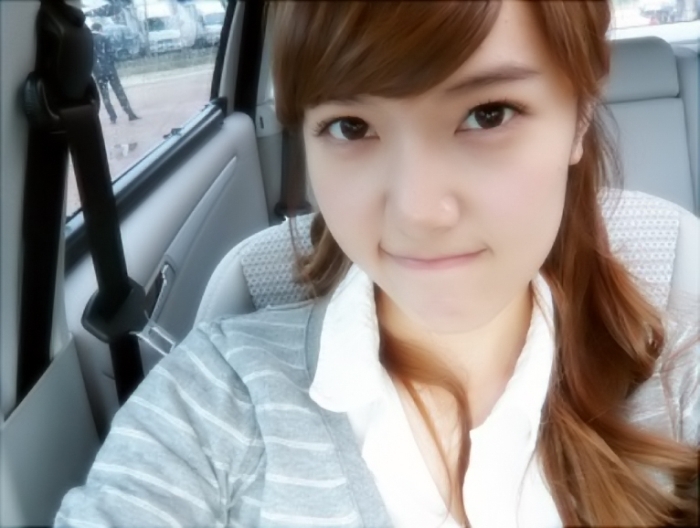 Happy 24th birthday to Jung Jessica!! May you be blessed with love and health and protection. May you be an even better person, improvement as an artist and also as a member of society. Us fans will always support you in everything you do, we will always love you just the way you are. And i hope this year you’ll get what you wanted and have a scandal-free life. 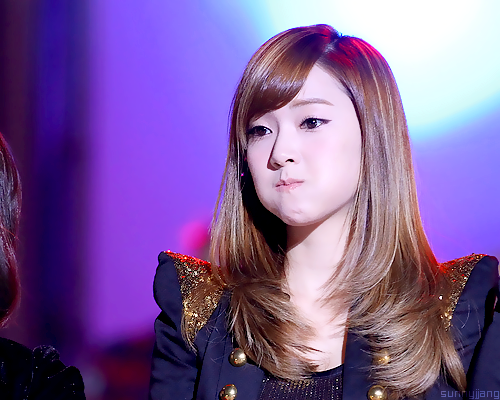 Jung Jessica, our Warm Ice Princess, Sleepyhead, Elle Woods, Sicachu… WE LOVE YOU! WE CARE ABOUT YOU! So please stay together forever as 9 and be one with us fans. I hope i can meet you and see you in person one day. Amen. Question, if Jessica was born in 1989 isn’t she only 24 years old? Hi Tish. According to the Lunar Calendar which the Koreans mainly refer to (instead of your actual date of birth), she’s already 25 years old. When we are born we are already nearly a year old, so this age is actually more accurate than measuring our age from when we were born. All hail the Ice Princess! Everyone thinks you’re lazy, but I know you still work really hard and deserve a break from time to time. Today is one of those times! One of those days when you have an excuse to be lazy! Stay happy and healthy, Sica. From Jamie (占美), with lots of birthday wishes, l♥ve, hugs, kisses and cake. The Sica Effect isn’t to do with her expressions, it’s to do with what she says being able to kill the mood. Second by second has been turned into years. Step by step had been traversed. Various beautiful thing and also painful. Or perhaps as a reflection day for you. May your wishes be fulfilled this year. All the best from a Malaysian SONE.